DAVID LE/Staff photo. 3/5/15. 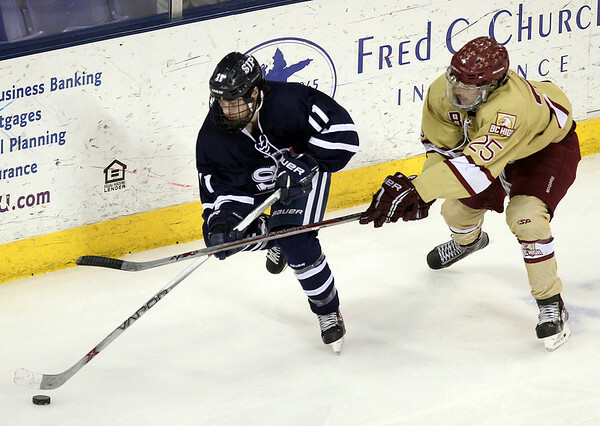 St. John's Prep junior forward Kyle Lynch (11) carries the puck while being stick checked by BC High senior Tim Larocque (25).